The neighborhood is named after a 24.5-acre (9.9 ha) public park of the same name, which was founded in the 1890s and is located between 41st and 44th Streets and 5th and 7th Avenues. The park’s elevated location offers views of New York Harbor; Manhattan; the Statue of Liberty; and, more distantly, the hills of Staten Island and the U.S. state of New Jersey. 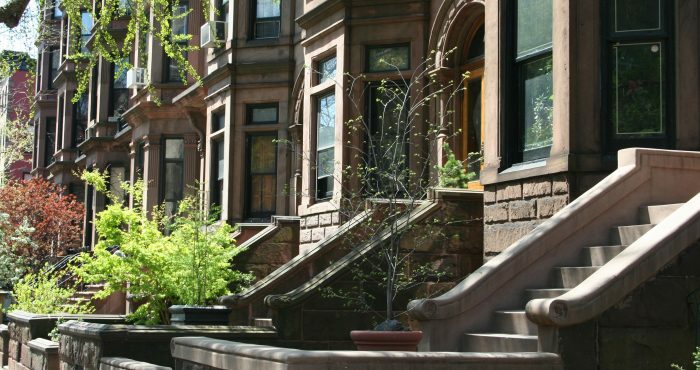 If you are a Sunset Park, Brooklyn, NY home buyer, our foremost goal is to provide you with exceptional customer service. Our goals are to help you purchase the right home, make sure you don’t miss out on any homes that meet your needs, and make sure you don’t pay too much for your next home. 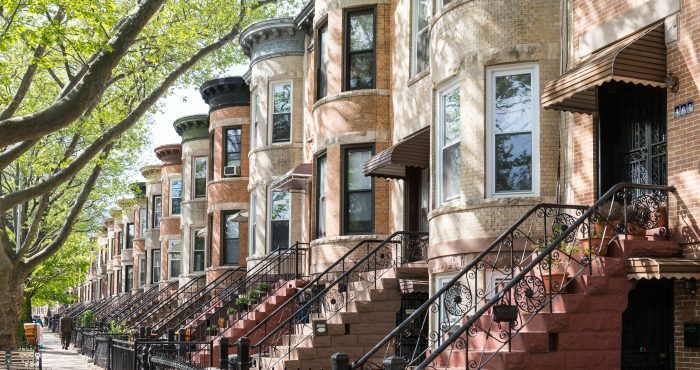 Please utilize our Sunset Park, Brooklyn, NY real estate expertise to make your home search and buying experience as stress free and rewarding as possible. 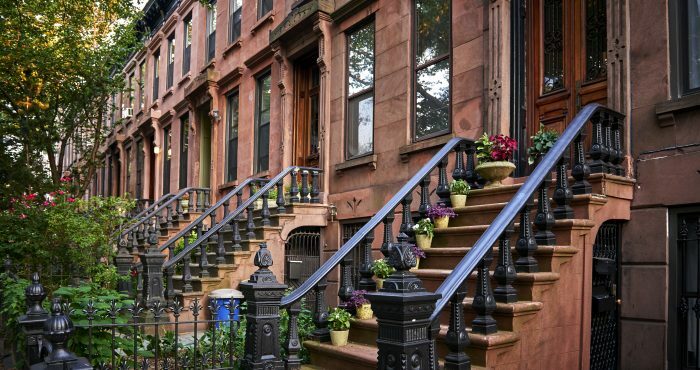 If you considering selling your Sunset Park, Brooklyn, NY home, we utilize the latest, cutting-edge, real estate marketing tools to expose your property to the widest range of potential buyers. We are here to get your house aggressively marketed to sell as quickly as possible and for the best price! 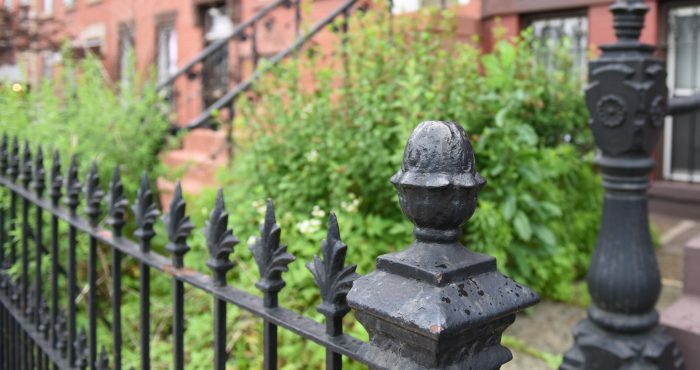 Our goals are to help you get your Sunset Park, Brooklyn, NY home sold, put you in the strongest negotiating position as possible, and to make it easier for you and reduce surprises. One of Brooklyn’s “most heterogeneous neighborhoods”, Sunset Park’s population is composed of Puerto Ricans, Mexicans and other Hispanics, in addition to Chinese, Indians and Norwegians. The core of the Hispanic population is west of 5th Avenue, while the center of the Chinese population of Sunset Park straddles the area from 7th Avenue eastward to Borough Park, and represents one of Brooklyn’s fastest-growing Chinatowns. The ethnic diversity of the neighborhood is celebrated annually with the Sunset Park Parade of Flags down 5th Avenue. The neighborhood is part of Community Board 7, and served by the New York City Police Department’s 72nd Precinct. Fire services are provided by Engine Company 201, Engine Company 228 and Ladder Company 114. The Brooklyn Public Library has a branch located on 4th Avenue at 51st Street. The area is also home to the Jackie Gleason Bus Depot, named after the actor who played bus driver “Ralph Kramden” in the TV series The Honeymooners. The area which is now Sunset Park was purchased from the Canarsee Indians by Dutch settlers in the 1640s. 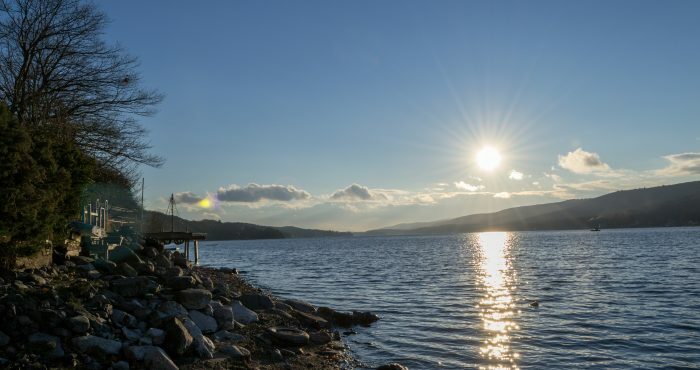 Their first farms were laid out along the waterfront. The area was still primarily agriculture in the 1830s, at which time streets were laid out and development began, and remained that way until the middle of the 19th century. A ferry pier and railroad terminal, popular as a transfer point for those traveling to Coney Island, was built in the 1870s. In the heyday of the New York Harbor’s dominance of North American shipping during the 19th century, Sunset Park grew rapidly, largely as a result of Irish, Polish, Finnish, and Norwegian immigrant families moving to the area. Portions of the neighborhood became known as “Finn Town” and “Little Norway”. The Finns brought with them the concept of cooperative housing, and the apartment house at 816 43rd Street is said to be the first cooperative apartment building in New York City. The Irish subjected the other groups, especially the non-Catholic Finns and Norwegians to harassment and abuse, which resulted in some of the latter leaving the area. 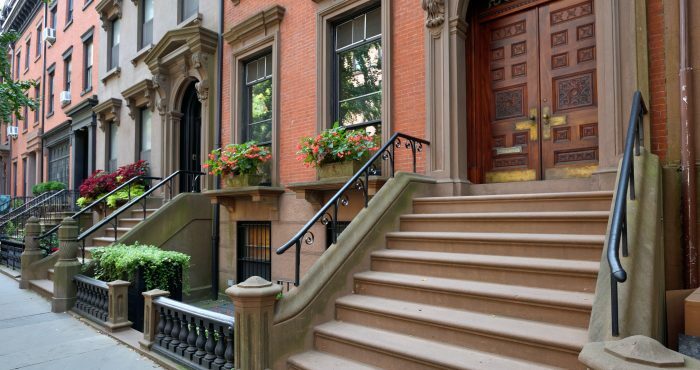 The area’s residential construction took place primarily in the late 19th and early 20th century, and included “limestones and brownstones, as well and brick and wood rowhouses”. The neighborhood grew up around the Bush Terminal of Irving T. Bush, a model industrial park between 39th and 53rd Streets completed in 1895 – and called “Bush’s Folly” at the time, as people had a hard time believing it could compete with the port of Manhattan – and continued to grow through World War II, when the Brooklyn Army Terminal between 53rd and 66th Streets employed more than 10,000 civilians to ship 80% of all American supplies and troops. The neighborhood began to decline in the 1930s and 1940s, with the depredations of the Great Depression. The construction of the elevated Gowanus Parkway, which replaced the BMT Third Avenue Elevated in 1941, effectively cut the neighborhood off from the harbor. Sunset Park’s shipping sector declined after World War II, with the rise of truck-based freight shipping and ports in New Jersey; the growth of the closure of the Army Terminal; and the decreasing importance of heavy industry in the northeastern United States. In 1945 Third Avenue was widened to ten lanes at the surface level to accommodate the truck traffic to/from the Brooklyn–Battery Tunnel. This widening necessitated the removal of all industrial buildings and housing on the east side of the avenue. The four-lane parkway was replaced in the 1960s with a similarly named six-lane expressway to carry truck and car traffic to and from the then-new Verrazano-Narrows Bridge, which opened in 1964. As these economic and infrastructural changes occurred, the neighborhood’s population began to change as well. White flight to the suburbs began to take its toll. Families who had lived in the community for decades began moving out, and their homes – largely modest but attractive rowhouses – lost value. Due to corruption in the banking and real-estate industries, and in the Federal Housing Administration, many housing units were lost to abandonment. With aid from federal, state, and local agencies, Sunset Park slowly began its rebirth, helped by the purchase by new investors of Bush Terminal in 1965 and its conversion into an industrial park, the expansion of St. Lutheran Medical Center in 1969, the 1987 re-opening of the Brooklyn Army Terminal, and new immigration into the area. By the 1980s and 1990s, the neighborhood was being reborn. Sunset Park was hit by the tornadoes of August 8, 2007. Significant damage was reported to homes on 58th Street between 7th and 5th Avenues and 67th to 66th Streets between 5th and 6th Avenues. In February 2016, Sunset Park West was one of four neighborhoods featured in an article in The New York Times about “New York’s Next Hot Neighborhoods”. Factors cited in the article included redevelopment along the waterfront, a new training facility for the Brooklyn Nets professional basketball team, the opening of Bush Terminal Park between 44th and 51st Streets in 2014, plans to improve Industry City – the former Bush Terminal, and the use of warehouses as party and event spaces. 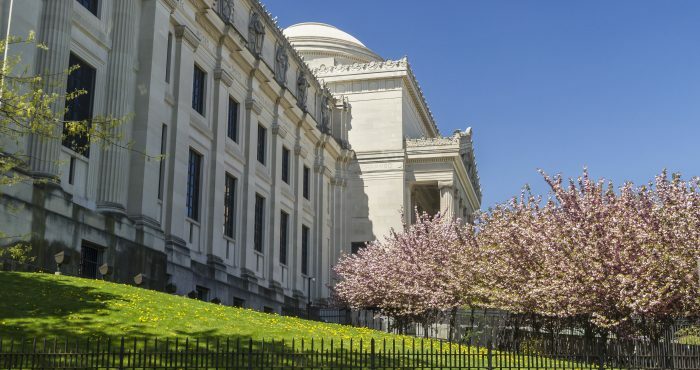 According to real-estate sources cites, all of these business- and office-related activities will “drive residential momentum” in the western part of Sunset Park. Some in the neighborhood have expressed fears of the “gentrification” that could follow in the wake of these developments. Until the early 1960s, Sunset Park’s main population was made up of immigrant Irish, Italians, Germans, and Nordic Americans. These groups began leaving the neighborhood during the 1970s and 1980s, and they were replaced by new immigrants. Many migrants came from Puerto Rico, immigrants from the Dominican Republic, and Meso-America, as well as other Latin American and Caribbean countries. By 1990, Hispanics comprised 50% of Sunset Park’s population, and were rehabilitating property values and developing a thriving community, with an abundance of Hispanic restaurants and businesses along 5th Avenue. People from Gujarat in India have also been settling in and around Sunset Park since 1974; they are mostly Christian and attend three of the area’s churches, at 45th Street and 8th Avenue, at 56th Street and 4th Avenue, and at 52nd Street and 8th Avenue. These churches have a mainly Indian congregation and festive parties in the church halls. In the 1980s, Sunset Park became the location of the borough’s first Chinatown, which is located along 8th Avenue from 42nd to 68th Street and has rapidly attracted many Chinese immigrants. Eighth Avenue is lined with Chinese businesses, including grocery stores, restaurants, Buddhist temples, video stores, bakeries, and community organizations, and even Hong Kong Supermarket. Like the Manhattan Chinatown (of which the Brooklyn Chinatown is an extension), Brooklyn’s Chinatown was originally settled by Cantonese immigrants. In recent years, however, to the discontent of many of the Cantonese, an influx of Fuzhou immigrants has been supplanting the Cantonese at a significantly faster rate than in Manhattan’s Chinatown; in recent years, this trend has slowed down, with fewer Fuzhouese coming to Sunset Park each year. By 2009 many Mandarin-speaking originators had moved to Sunset Park. The Brooklyn Army Terminal is west of 1st Avenue. Most of the 1st-2nd Avenues area is surrounded by factories, cargo storage and other industrial buildings. 3rd and 4th Avenues are residential, commercial, and industrial. 5th Avenue is mostly a middle class commercial street. 6th Avenue is a quaint residential street, and is the approximate border between the Hispanic area and Brooklyn’s Chinatown. 7th and 8th Avenues are the two major hubs of Brooklyn’s Chinatown. 9th Avenue (the border with Borough Park) has been mostly a quiet residential street. The cross streets are mostly industrial between 1st and 3rd Avenues but are mostly residential east of 3rd Avenue. Sunset Park is served by road and rail services. 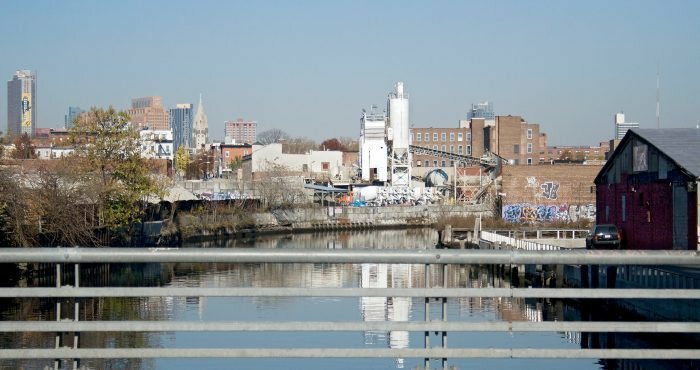 The neighborhood has access to three limited-access highways; the I-278 (Gowanus) and NY 27 (Prospect) Expressways as well as the Belt Parkway. Six New York City Bus bus lines serve Sunset Park: B9, B11, B35, B37, B63 and B70. Several subway routes run through Sunset Park. The BMT Fourth Avenue Line (D​, ​N​, and ​R trains) has stations at 36th Street, 45th Street, 53rd Street and 59th Street. 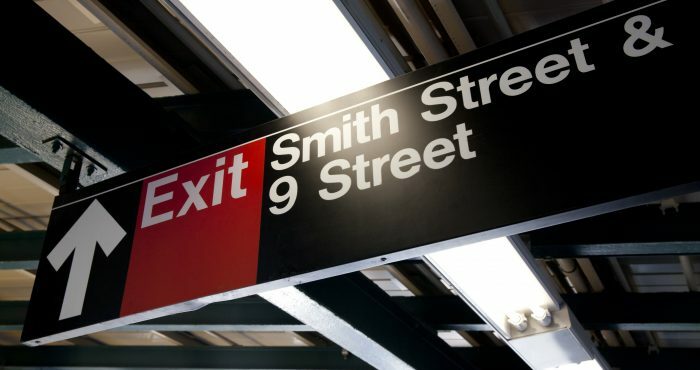 The BMT West End Line (D train) has a station at Ninth Avenue. The BMT Sea Beach Line (N train) has one station in Sunset Park at Eighth Avenue. For some time, SeaStreak service was available at the Brooklyn Army Terminal to Pier 11/Wall Street, the East 34th Street Ferry Landing, the Sandy Hook Bay Marina, or Riis Landing on summer Fridays. Ferry service was created in the aftermath of the September 11th attacks when the Gowanus Expressway and New York City Subway were at capacity. It was free from October 2001 until April 2003, when the Federal Emergency Management Agency announced that it could not subsidize the service anymore. Then, until 2011 it was operated by the Red Hook, Brooklyn-based New York Water Taxi company on its Rockaway/Sandy Hook route. The Water Taxi service from the Brooklyn Army Terminal was part of the crucial contingency plan during the 2005 New York City transit strike. Sunset Park has been served by NYC Ferry’s South Brooklyn and Rockaway routes since 2017. Much of the traffic between the Brooklyn and Manhattan Chinatowns is handled by privately held minibuses known in Chinese as “VAN 仔” and in English as “Chinese vans”. 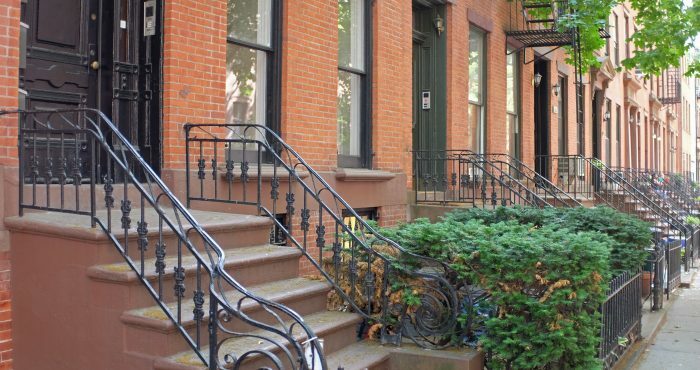 Interested in Sunset Park, Brooklyn Real Estate?